It is important to highlight social entrepreneurs, who are working diligently to transform the country that they love into a better, more prosperous one for the people of Nepal. Likewise, it is important to share other aspects of Nepal, in order to underscore why these social entrepreneurs are so valuable to Nepal. Below is one such example combining my 2007 (four months) and 2013 (1-1/2 months) visits to the country that I love so deeply. 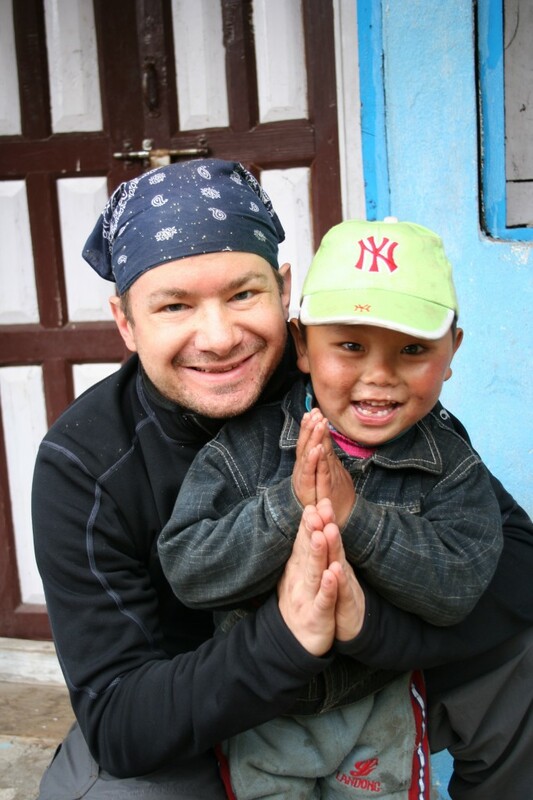 When I landed in Kathmandu in April 2013, I had a burning desire to rediscover my love for Nepal and its people. Six years before, if it hadn’t been for a return ticket from Mumbai, I would have most definitely stayed the allowable length of a tourist visa (five months) and, more probably, discovered a way to stay much longer. At the time, 10 years seemed like an adequate amount. Naturally, I had anticipated many changes to the landscape of the capital city and to the areas I had enjoyed visiting years before. Usually, however, the places I had returned to had all exhibited the effects of modernization. Not so was the case this time as I soaked in the atmosphere of Kathmandu over the next month or more. Unbeknownst to me, my Shangri La appeared to have remained in a time capsule all of this time. 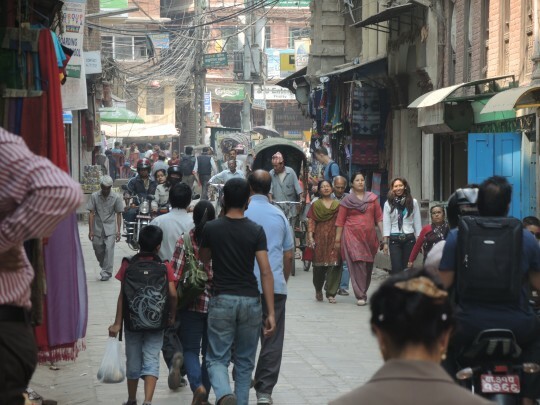 Hesitantly, I wondered to myself if Kathmandu had even regressed as a city while I was away. It wasn’t until I became accustomed to my surroundings and started to research Nepal more deeply that I discovered the depths to which the living standards of Nepal had fallen in the preceding six years. In 2007, Kathmandu was buzzing with excitement after the ouster of the King and his family, who had ruled over Nepal and its people for almost 250 years. The Maoists, many people in Kathmandu believed (hoped), were going to provide the Nepalese with a freedom they hadn’t seen in anyone’s lifetime before. However, when one visited the villages away from Kathmandu, one heard a story of authoritarian rule and a distinct fear of the Maoists. Researching this topic in 2013, I discovered that over the course of the previous six years, the government of Nepal had managed to unabashedly raid the coffers of not only the citizens who they represented but also the aid from foreign nations… all in plain sight, during the light of day. Additionally, the government of Nepal had also not been able to draft a constitution and had basically rotated prime ministers every six months or so, with each successive prime minister essentially concerning himself with extracting as much wealth for himself and his family during their momentary rise to power. 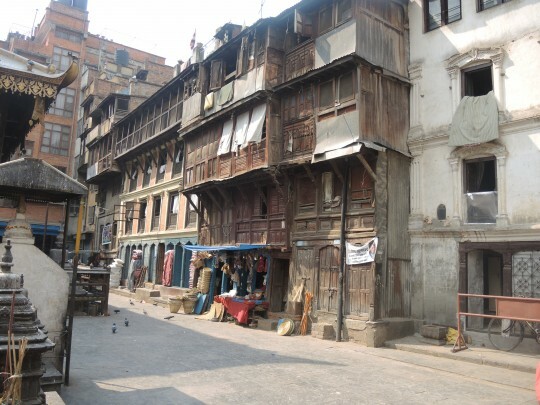 When I discovered the astronomical cost of land in Kathmandu, I heard rumors that it was a result of the politicians making backroom deals and, in essence, dividing it amongst themselves, their families and their friends. If I had not been somewhat well traveled, informed or from perhaps the most corrupt city in all of the United States, Chicago, I might not have believed it to be possible, but the extreme price of the land in Kathmandu was undeniable. It made the housing bubble of the West seem like a children’s playground. In a place where the per capita income was approximately $750 in 2012 with interest rates north of 15%, a plot of land approximately 1/8 of an acre (or 500 square meters) was going for more than $25,000… more than an hour’s walk outside of the city center. That, per law, only the Nepalese were allowed to buy land, made it abundantly clear to me that the corrupt government and its cronyism were, indeed, heavy players in buying land in and around Kathmandu (and likely other opportune locations in Nepal). During my research in 2013, I uncovered an article by Sukhdev Shah, a former Nepali ambassador to the United States and 20-year veteran of the International Monetary Fund, entitled “Slide into Africa,” which was published on February 27, 2012 in República, a leading English print newspaper in Nepal. In the article, which focuses on Nepal’s fall in the United Nation’s Human Developmental Index, Shah concluded that Nepal’s “immense misuse of public money and [the] public’s as well as donors’ inability to press for accountability” as the reason why Nepal remained poor and its future bleak. This article, essentially, sums up modern day Nepal, on the governmental level, in my opinion. 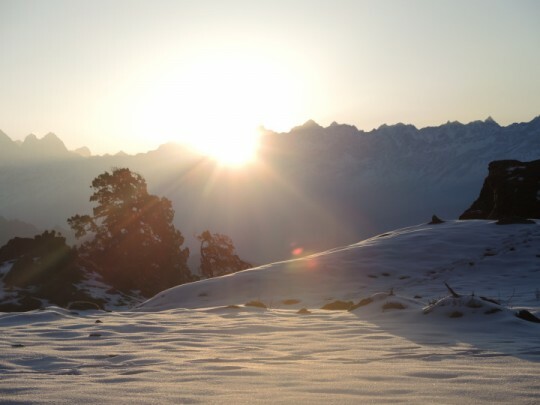 But there is great news – a beacon of hope shines in Nepal! Fortunately, there are many trusted local Nepalese private sector social entrepreneurs, who have been working for decades in spite of their government’s intentions, to improve the country that they love so much. Donating resources directly to socially driven entrepreneurs is an extremely productive way to ensure that the people of Nepal receive the help that they desperately need. It is because of our knowledge and connections to some of these trusted, socially-minded entrepreneurs prior to the earthquake on April 25th, in addition to the unique qualities of having prior work experience with the Nepalese and a desire to improve Nepal prior to the disaster, that Ingvill and I both feel deeply passionate and “called to” rebuild Nepal. In the coming weeks and months, Ingvill and I hope to give you an insight into Nepal that you will most likely not see or hear about via traditional media. The information, such as this article, will be based on our knowledge and experience inside the country that we both love so much. If you learn something new or enjoy our work, please share our articles with others. And if you would like to share your insight or have a desire to help our efforts in any way (or know someone who might), please reach out to us. We’d love to hear from you! Additionally, please explore the following options below to help us rebuild rural Nepal! – Buy a Happy Heart Universe t-shirt made in Nepal. 100% of the profits on all t-shirts sold before August 1, 2015 will go to support rebuilding projects in Nepal. – Participate in one of the non-touristic treks we are organizing. We donate 1,000 Norwegian Kroner per person to a project. (At the moment, these treks are targeted exclusively for Norwegians.) Send an e-mail to Ingvill@Liveafeinmotion.com for more information. – Donate money to the Nepal Earthquake Relief Fund. "I don't remember at what stage of my life that my passion for people bloomed," says C.J., "however, it has remained the one true constant in my life. Regardless of where I go, I always derive the most joy during my day from meeting, talking with and, especially, learning from others. For certain, it is a trait, which I inherited and developed through my father, who was, if not already by then, quickly becoming, my best friend at the time of his passing when I was 23 years old. I am proud to be a friend and partner of Ingvill on her journey in Nepal and on our journey to rebuild it after the devastating earthquakes which started on April 25, 2015." I’VE known C.J. & his family for years. Take him SERIOUSLLY as his heart is right. He’s a bright, young man with grit. Thanks for the article C.J. I had no idea. I can tell you that My youngest son, WHO is a film-producer, should have been in Katmandu when the first earthquake was. The plans were changera so he was there the week before.